Champions Youth Group from the Senators during July and Aug for youth living in the Alexander/Carlington community. Note 1: Mark your calendars: Family Fun Day will be May 20! Note 2: If you have an idea for an activity/program, please email acc@ottawa.ca. 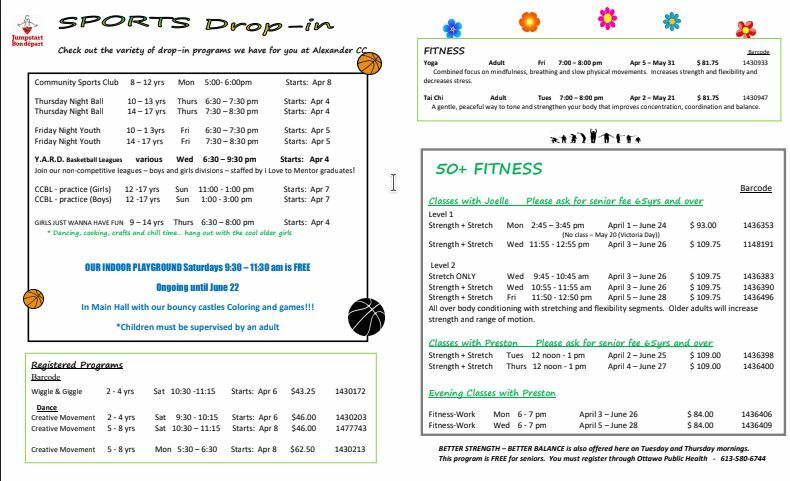 The entire list of programs and details are available in PDF Format. 1. 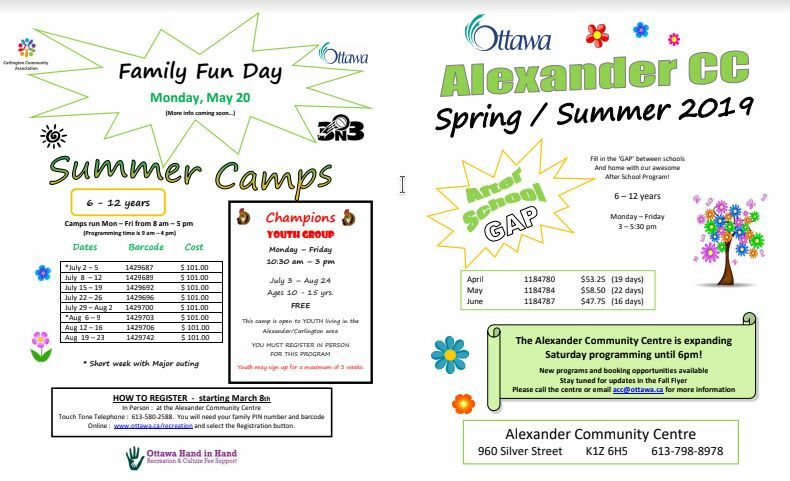 Register in Person: at the Alexander Community Centre, 960 Silver St.
or by visiting a City of Ottawa Client Service Centre. ONLY courses with Barcodes can be registered online, all others must be done in person.